The CE marking is a legal declaration issued by the manufacturer of the metal structure guaranteeing the product is in compliance with EN 1090 and therefore with the European Directive. EN 1090, which regulates the CE marking, is obligatory for all metal structures in the market since July 2014. 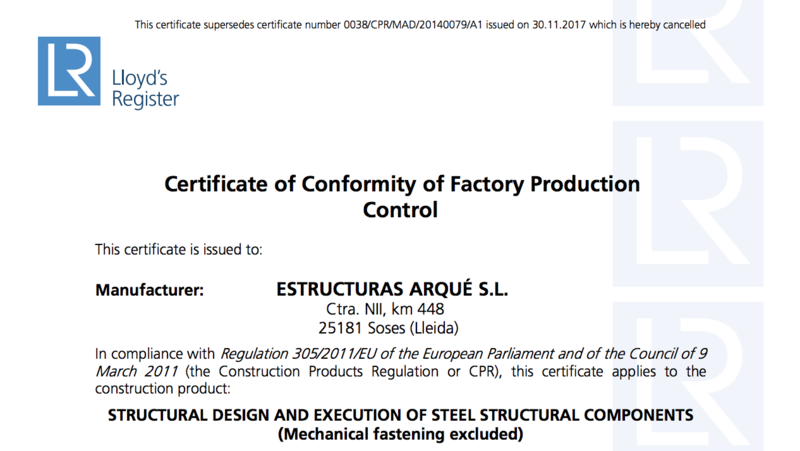 In Estructuras Arqué we have an Integrated Quality Management System in order to guarantee the quality standards in place, execution class 4 (Maximum European Certification). BIM (Building Information Modelling) is the technology for the generation and management of information for a construction during its design, calculation and execution, using dynamic 3D modelling software in real time. 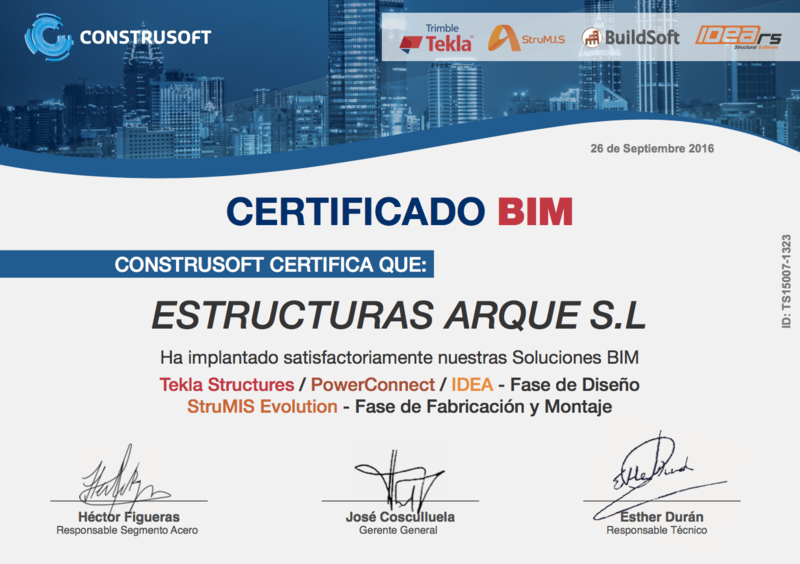 Our BIM system offers our clients advantages in planning, calculation of costs and risk analysis, as well as a collaborative process to improve the management and optimization of available resources.